A trip through McCafferty Hall will result in witnessing rehearsals and art projects in progress. 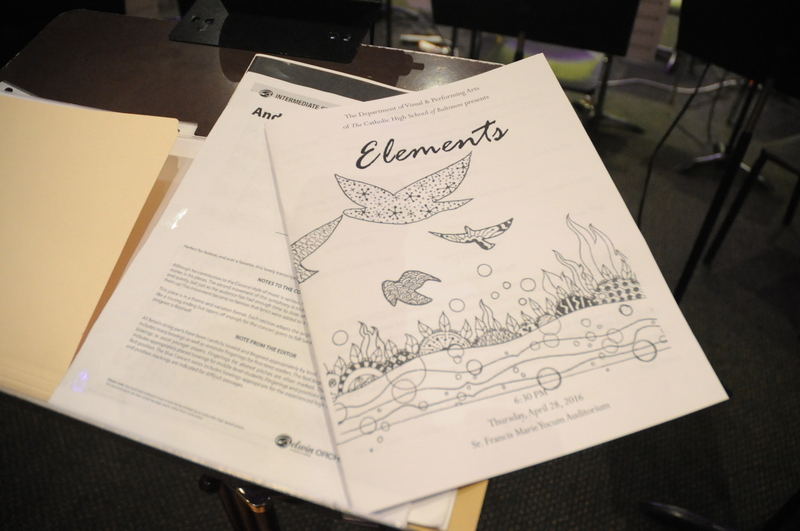 Students participating in Symphonic Band, Chamber Winds, Guitar Ensemble, Piano Ensemble, String Orchestra, Concert Choir or Chamber Choir and all levels of visual art work all year toward the six concert and art show performances. 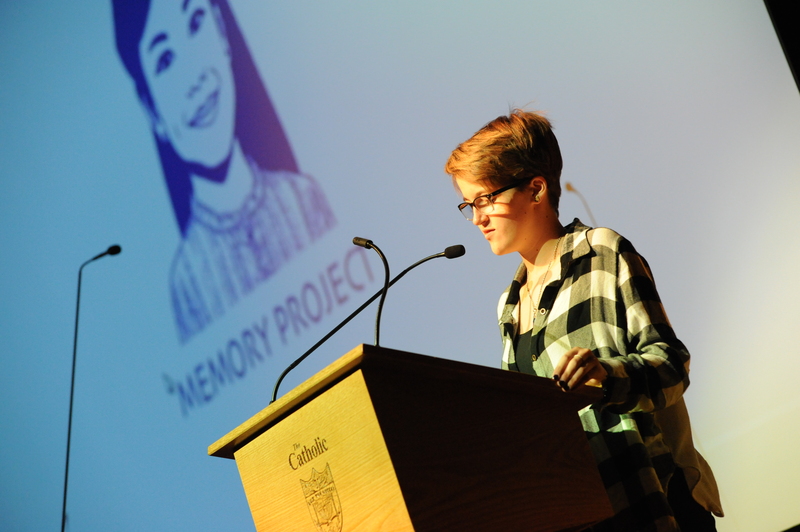 Visual art students prepare an art show to treat your eyes as well as your ears at Christmas time and in the spring! Put on your sunglasses...there's a lot of light shining in the Visual and Performing Arts Department! Fall semester is Drama time! 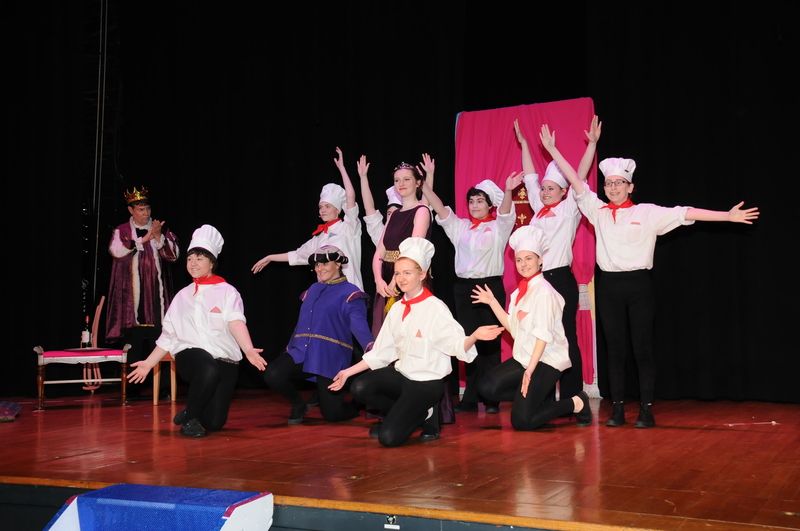 Our students participate in every aspect of the production - acting, stage crew, lighting design, sound engineers, set design, costume design, public relations - you name it! Recent productions include Oscar Wilde's "Lady Windermere's Fan", Charles Dicken's "A Christmas Carol", and "The Man Who Came to Dinner" by George S. Kaufman and Moss Hart. 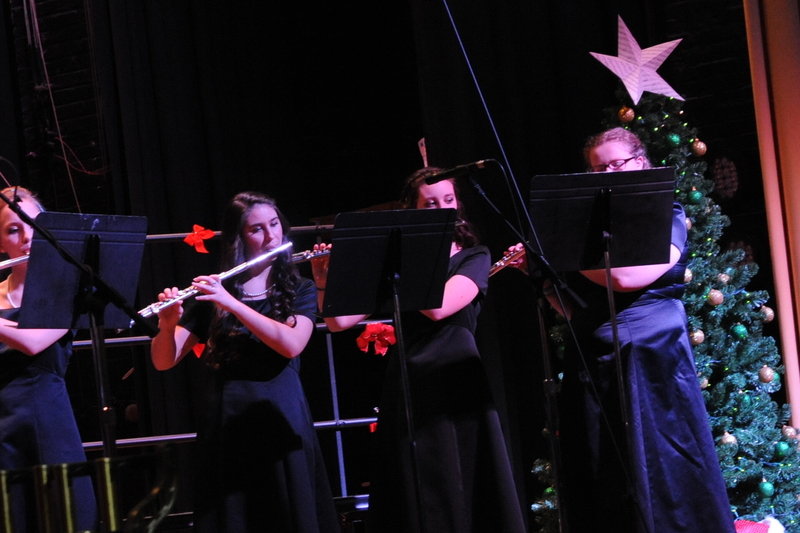 Each year, the Symphonic Band and Concert Choir ring in the holidays during Catholic High's Annual Christmas Assembly and Christmas Concert. Santa Claus might arrive, there might be a guest jury for the art show during the concert, and there is always plenty of Christmas cheer. 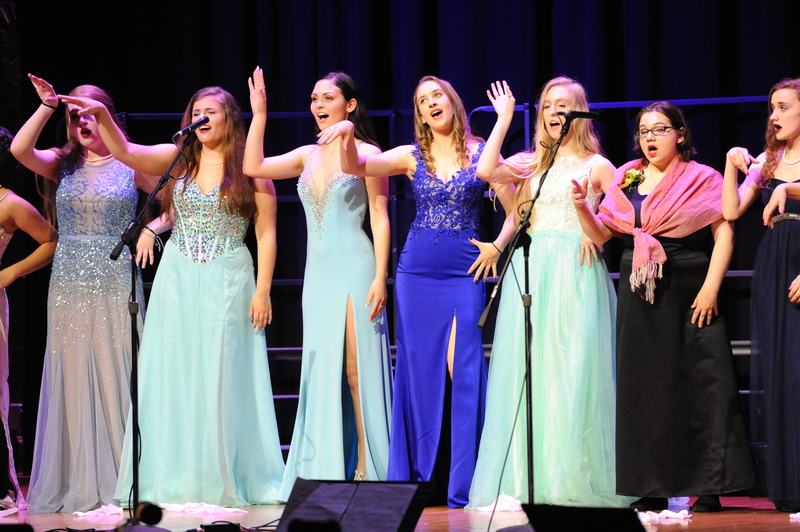 This showcases our musical groups- the Chamber Choir, Wind Ensemble, Flute Choir, Clarinet Choir, Brass Ensemble, Ukulele Club, Barbershop Club, Piano Ensemble and Jazz Ensemble! 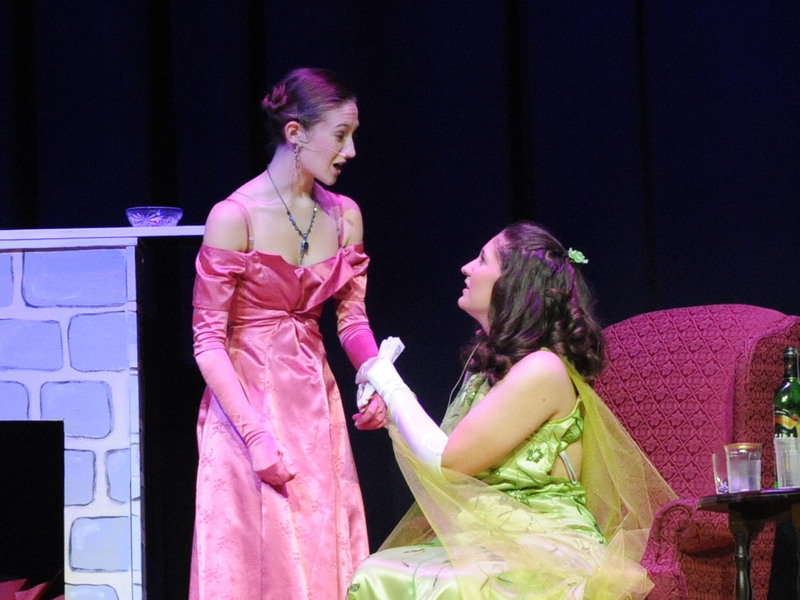 Recent productions have included Rodgers & Hammerstein's "Cinderella", Rodgers and Hammerstein's "The Sound of Music" and Strouse and Charnin's "Annie"